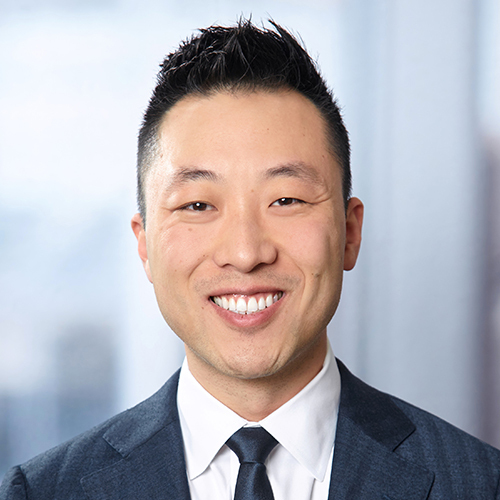 David Ma is a partner in Jeffer Mangels Butler & Mitchell LLP's corporate practice. David serves as transactional advisor to a wide variety of public and private companies, institutional investors and entrepreneurs. From early stage to exit, David counsels clients on a range of business transactions including mergers, stock and asset acquisitions (buy- and sell-side), fundraising (equity and debt), investments (minority and control), joint ventures, restructuring and venture capital investments. In addition to serving as transactional advisor, David also acts as external general counsel to middle-market companies. In this capacity, David advises and directly reports to CEOs and other senior leadership on broad legal strategy and has overseen implementation of various initiatives including equity incentive plans, regulatory compliance, corporate maintenance (including leading shareholder and board meetings), corporate governance policies, litigation/dispute resolution, risk mitigation, and complex commercial contract negotiations (including distribution/manufacturing agreements, license agreements, employment agreements, and master service agreements). David's industry experience is diverse and includes consumer goods, retail, industrials, manufacturing, technology (software and hardware), media (traditional and digital), aerospace and defense, business services, healthcare and educational services. He also serves as the firm's lead corporate partner in its Legal Cannabis Group and represents cannabis clients on entity formation, efficient corporate structuring and acquisition/divestitures. David is a trusted advisor to clients and they have relied on him to solve complex legal problems in an efficient manner. Represented an environmental clean-up company in a series of acquisitions, acquisition debt financings and its subsequent sale to two private equity funds. Represented a private equity portfolio company in a series of acquisitions of laundry service companies. Represented a private equity firm in a platform add-on acquisition of a furniture company. Represented a private equity firm in the acquisition of a baby products company. Represented a private company in the acquisition of a point of sale (POS) hardware and software company. Represented a publicly traded diversified healthcare company (London Stock Exchange) in a series of acquisitions of medical device and other healthcare related companies. Represented a publicly traded automobile company (Shanghai Stock Exchange) in the formation and capitalization of its US subsidiary and subsequent orderly wind-down. Represented a private company in the acquisition of a physical therapy practice and subsequent divestiture of non-core businesses. Represented a private educational institution in the acquisition of a for-profit college from a publicly traded company. Represented a minor league hockey team in a sale to a NHL team. Represented an airplane parts manufacturer in a sale to a private equity firm. Represented a SaaS company in a control sale to a publicly traded company and subsequent repurchase of controlling interest from such publicly traded company. Represented a time management software company in a control sale to a private equity fund. Represented an online advertising platform company in a control sale to an European holding company. Represented a SaaS company in a Series B investment from a venture capital firm. Represented a prominent media company in a Series C investment in a "big data" company. Represented a vertically integrated cannabis company in commercial contract negotiations and implementation of various corporate governance policies.